What Was The Best Move Of The Boston Bruins' Offseason? What Was The Best Move Of The Boston Bruins’ Offseason? There’s only one certainty with regards to the Boston Bruins’ offseason: it didn’t lack excitement. A new general manager and significant roster turnover were two of the main highlights in a summer of change. Missing the playoffs for the first time in eight years brought along an expectation of modifying the franchise. Don Sweeney earned a promotion to the big chair and took his time adjusting to his new surroundings after serving as Peter Chiarelli’s right-hand man since 2010. A month later, the changes came fast and furious. Milan Lucic, Dougie Hamilton, Reilly Smith and Marc Savard’s contract were all gone within the space of two weeks. Two “franchise” players, a presumed “20-goal scorer” and the financial albatross of an unofficially retired player were all sent to new destinations while Matt Beleksey and Jimmy Hayes were two of the names that packed their bags for Boston. With training camp set to open up in just over a week, it’s time to break down some of Sweeney’s better moves. The second major domino to fall on draft day was the trade of Milan Lucic. 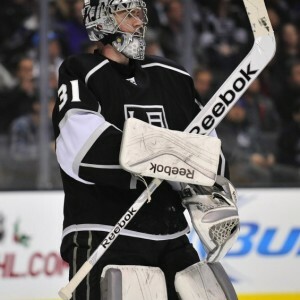 He was sent to the Los Angeles Kings in exchange for defensive prospect Colin Miller, goaltender Martin Jones and the 13th overall pick. After seeing the Martin Jones trade today, the Bruins deal to move Milan Lucic makes much more sense and looks better. What’s To Like: Lucic was bound to hit the open market as an unrestricted free agent next summer and coming off a disappointing season. Sweeney decided to trade away the popular winger while hauling in a sizeable return. Miller is coming off a season in which he scored 19 goals and 51 points with Manchester in the AHL and is in the mix to fill one of Boston’s vacancies on the back end of the blue line. Boston used LA’s pick to select defenseman Jakub Zboril. What’s Not To Like: The Bruins had to retain $2.7 million of Lucic’s contract. Cap space was a major concern going into the summer and having to retain almost half of his cap hit this year will hamper the club a bit. 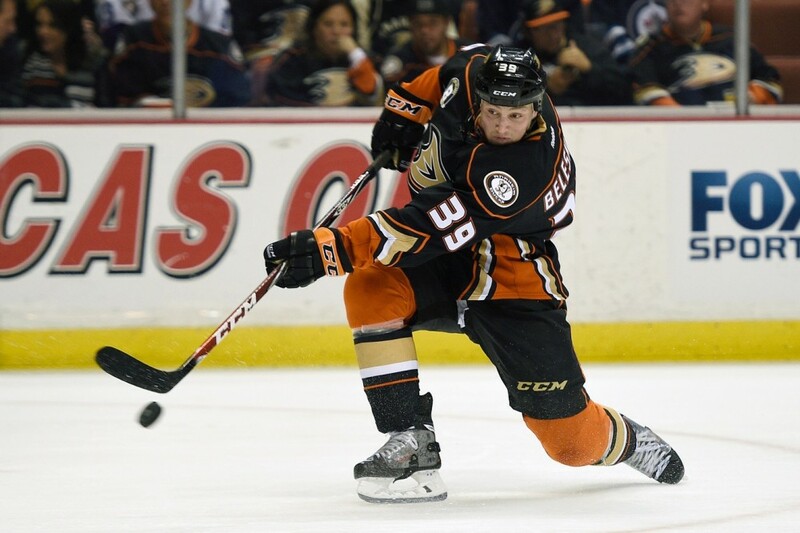 Sweeney signed arguably the top prize in free agency at the forward position in Matt Beleskey. 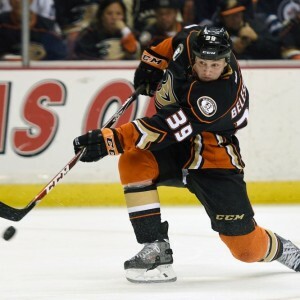 The former Anaheim Duck winger put pen to paper on a five-year contract valued at $19.8 million on the first day of the “free agent frenzy”. What’s To Like: For a player that many expected to make between $5-6 million per year for his next contract, Sweeney managed to convince Beleskey to take a discount. A $3.8 million cap hit for a player that is coming off a career-high 22 goal season is a decent gamble. He is looking at a spot alongside Bruin playmaker David Krejci in the top-six forward rotation and will have a chance to replicate that total. What’s Not To Like: A five-year contract is a rather sizeable commitment to a player that scored over a third of his career goals last season but that longevity and security is key to signing many free agents these days. A no-trade clause in the first two years is a bit much but it’s a step in the right direction compared to contracts with full NTCs, right? Sweeney didn’t wait long to ship Jones off to a franchise in need of a goaltender. Doug Wilson and the San Jose Sharks came calling and sent their 2016 first-round pick and prospect Sean Kuraly to Boston in exchange for the former Kings backup. What’s To Like: It’s amazing to think a goalie that has just two seasons under his belt as Jonathan Quick’s backup would net a first-rounder, yet Sweeney and the Bruins found themselves an ideal situation. They now possess two first-round selections in next year’s draft, of which either one or both could be lottery picks. 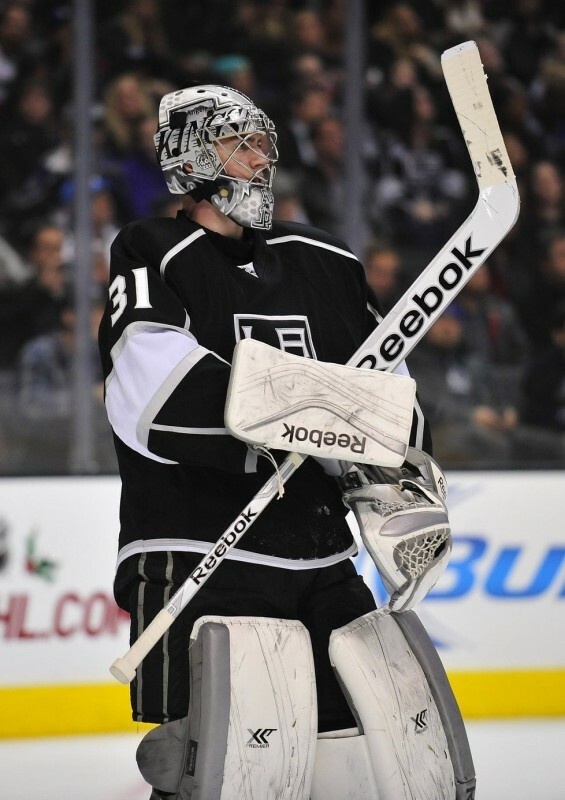 What’s Not To Like: The only issue with this deal is that Boston still needs a backup goalie. Jones would have been an ideal guy to fill the void behind Tuukka Rask. Now that he’s gone, it opens the door for either Malcolm Subban, Jeremy Smith or Zane McIntyre to duke it out. An honorable mention goes out to the Reilly Smith/Marc Savard trade in which the Bruins cleared over $7.5 million in cap space and brought in local boy Jimmy Hayes. The 6’6 winger is a huge body that will find a top-nine role with Boston’s forwards. He was signed to a three-year contract worth $6.9 million. Sweeney’s best move this offseason has to be the Lucic deal. When you look at the down year the Vancouver native endured, it’s tough to imagine the Bruins could have been offered a package like the one LA did. A solid defensive prospect in Miller, a first-round pick and a backup that was flipped for another first-rounder. Not too bad for a guy that is scheduled to be a free agent next summer and looking for a big contract. However, not every move Sweeney made this summer was a good one for the Bruins. We’ll explore those coming up in the next few days. In the meantime, which deal do you think takes the cake as Sweeney’s best of the summer? Leave your comments here or on Twitter!